Linda Joyce Manning, photographed with all her belongings. 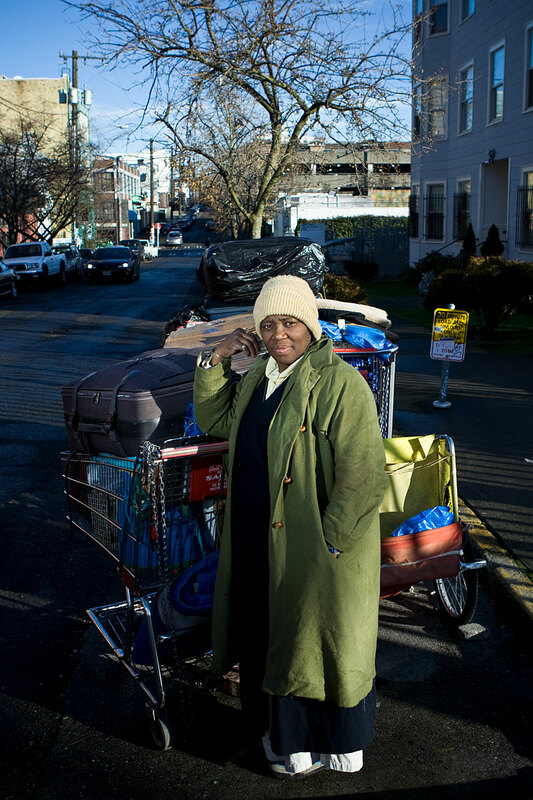 Linda spends most of her time on Capitol Hill, moving carts one by one, from one location to another. She has been homeless for a year and a half.